Poitou-Charentes: Detached 3 Bed Bungalow Close to Trout Stream. An immaculate detached 3 bedroomed bungalow on a corner plot, with delightful gardens running all round, a very private terrace and Block built barn. Set in a peaceful spot in a sought-after village where you are walking distance to the bakers and local river with Trout, Carp, Pike and Roach - perfect for fisherman or river side strolls. 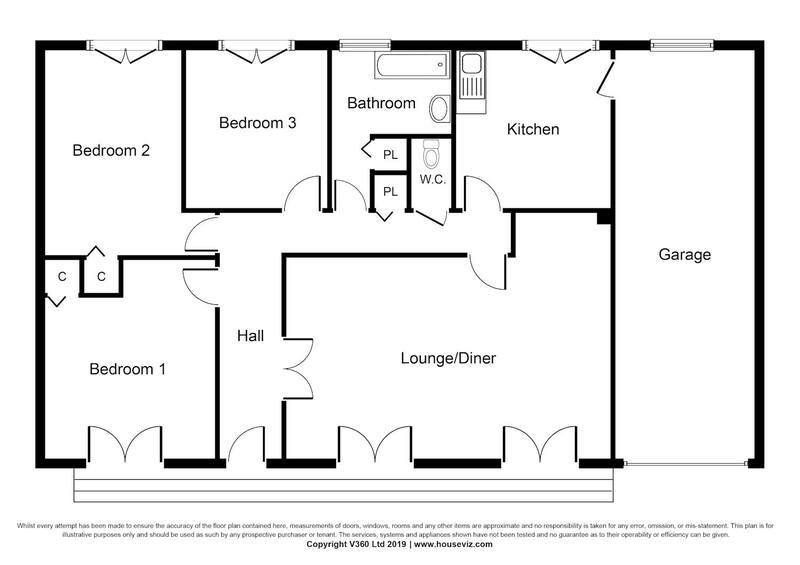 The integral garage may offer conversion potential to create a 4th bedroom with en-suite or even a studio gite / Annex. Easy to maintain home ideal for holidays or beautiful full time residence. The vibrant town of St-Jean-d’Angely with shops, supermarkets, cafes bars and restaurants is only a couple of miles away and easy reached on bicycle or 5 mins by car. All around you are surrounded by rolling fields and lovely countryside. The home sits in an area known for its micro-climate so plenty of sunny days and warm evenings. La Rochelle and Niort two lively cities with year-round events are both reached in less than an hours drive, while the fantastic Atlantic beaches are only 40 mins away. For those who need easy access to and from the UK, year-round low cost flights are available at La Rochelle (1hr) Poitiers 1hr 15 or Bordeaux 1hr 30. The closets ferry ports will be St Malo (4hrs) Caen (4.5hrs) both with daily crossings to Portsmouth or Roscoff (5hrs) for crossings to Plymouth & Eire, making the home convenient for visiting friends and family. Entrance Hall: Approx. 1.2m X 4.3m with glazed panel doors to the lounge diner and doors to all other rooms. Kitchen / Breakfast Room: Modern fitted and equipped kitchen with a good selection of eye and base level storage units with marble effect work surface over. Equipped with Whirlpool 4 ring hob, electric oven, extractor with down lights, fridge space, dishwasher point, 1.5 sink unit, tile flooring and rear garden aspect. Door through to integral garage. Double Bedroom 1: Approx. 3.4m X 3.4m with front aspect and built-in storage cupboard. French doors opening onto the gardens and terrace – perfect for breakfast! Double Bedroom 2: Approx. 3.6m X 2.8m with rear aspect and built-in wardrobe. Double Bedroom 3: Approx. 3.2m X 2.8m with rear gardens aspect. Inner Hall – with built-in storage cupboard. Family Bathroom – With corner shower, twin his and hers basin with storage under, built-in cupboard. Towel rail and heater. Tiled flooring and tiled walls. Garage / Utility – Measures approx. 8m x 3m – Sliding doors to the front. Light, power points end utility area with sink, plumbing for washing machine, freezer space, oil fired boiler for central heating. The garage may lend its self to conversion with space to create an en-suite bedroom or studio gite / Annex. Local Taxe Fonciere approx. 430 euros per annum. Benefits from modern oil-fired central heating throughout and comes double glazed and shuttered all round. DPE ENERGY RESULTS - D 161 kwhrs pa pm2 CO2 - E 48 kgrms pa pm2.